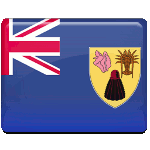 The Turks and Caicos Islands are a British Overseas Territory. In 1973 the islands were granted home rule, but it was suspended in 2009 due to allegations of ministerial corruptions. In 2012 home rule was restored in the islands again. In 2014 Prime Minister of the Turks and Caicos Islands Rufus Ewing declared the fourth Friday in November to be National Day of Thanksgiving. He encouraged the islanders to set aside all their work and give thanks to God for the bounty of being on the islands, and give thanks to their families and friends for love and joy they give each other every day. Unlike American Thanksgiving Day, National Day of Thanksgiving is primarily a religious holiday. The churches across the islands are to held special services and formulate special programs for the day.